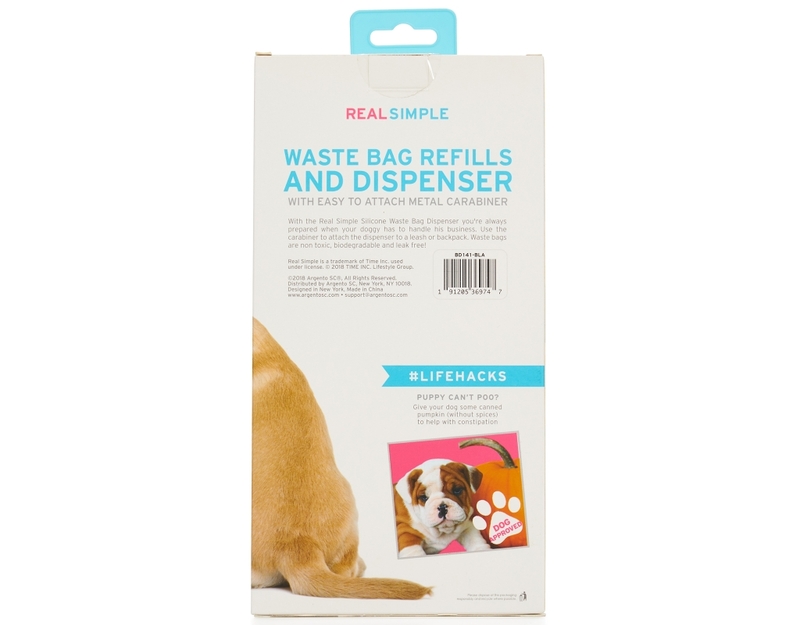 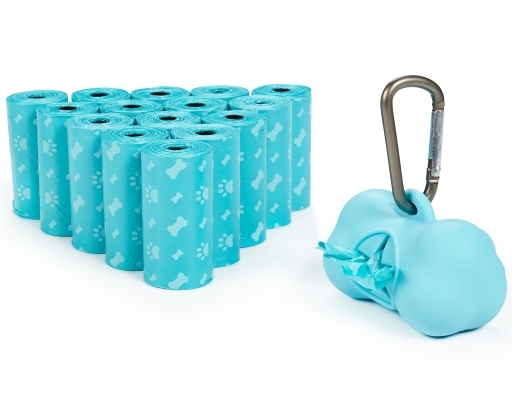 Waste bag refills and dispenser with easy to attach metal carabiner. 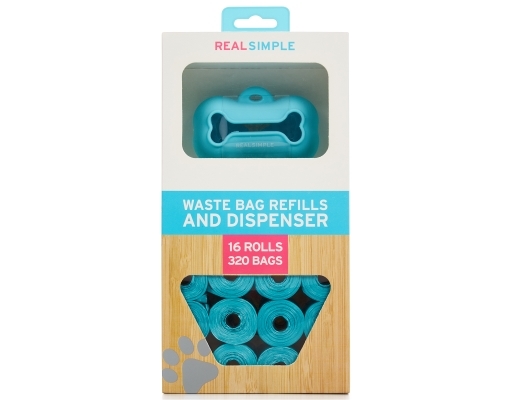 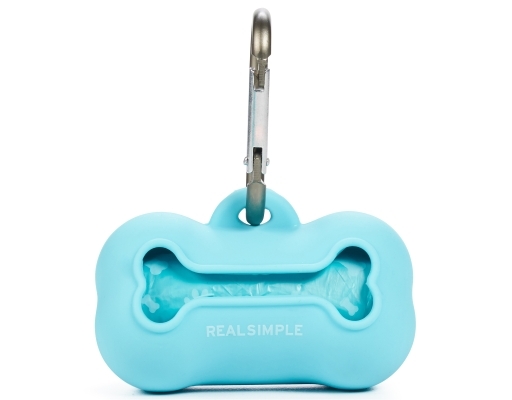 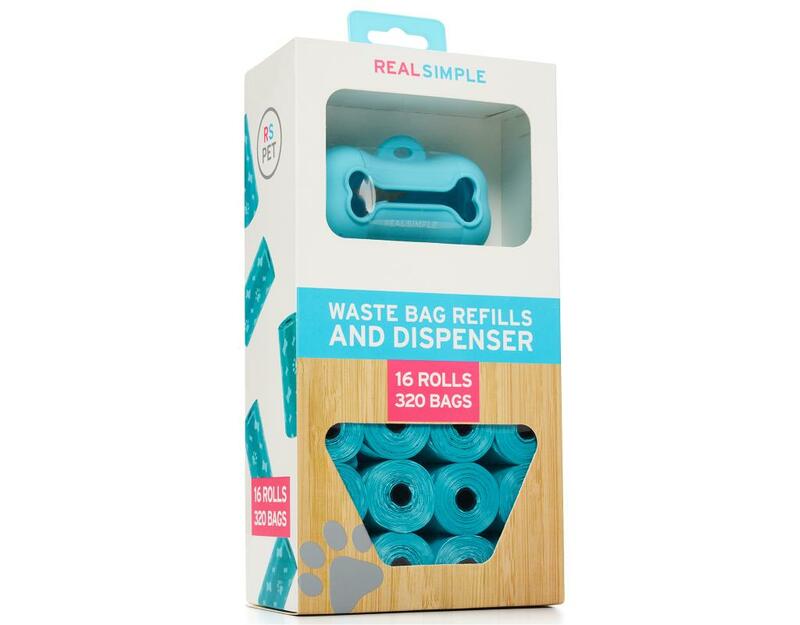 With the Real Simple Silicone Waste Bag Dispenser you’re always prepared when your doggy has to handle his business. Use the carabiner to attach the dispenser to a leash or backpack. Waste bags are non toxic, biodegradable and leak free.